Closing date for online entries is 14th January 2013 at 5pm. Nelson Mandela was president of which country? 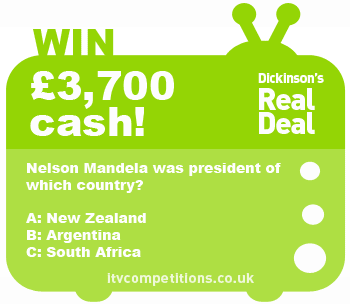 Enter the Real Deal competition 3 times per phone number for free via the itv.com website.